Free Log Cabin E-book Gift! I have the perfect Merry Christmas gift for yourself ~ a Free e-book from Fons & Porter's Love of Quilting called Build Your Best Log Cabin! 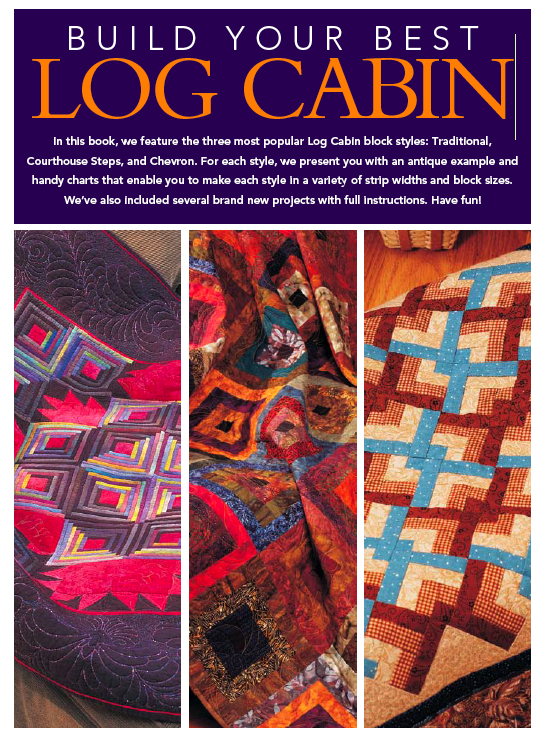 I love Log Cabin quilts, and this is a 24 page e-book that you can download that includes instructions to make three different types of Log Cabin blocks including Traditional, Chevron, and Courthouse Steps. 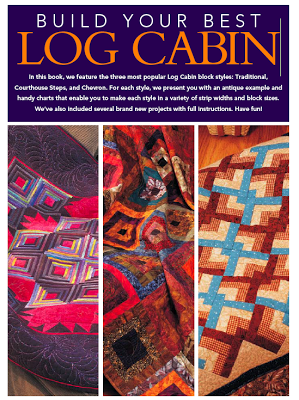 It includes a little background history on the Log Cabin quilt, full color pictures and complete instructions to make four specific Log Cabin Quilt projects. Plus, it includes setting option diagrams for multiple ways to lay out traditional Log Cabin blocks for completely different looks. It's a very versatile little booklet, and a great bargain at the price of...Free! To get your Free Log Cabin e-book from the generous folks at Fons & Porters, just click Here and sign up with your email address to receive their e-newsletter. Merry Christmas, and Enjoy the Day! Things have been hopping here with regular work stuff, plus all the Christmas shopping and preparations going on...Happily, I'm about finished with holiday prep, and plan to just enjoy the days until Christmas now ~ How about you? 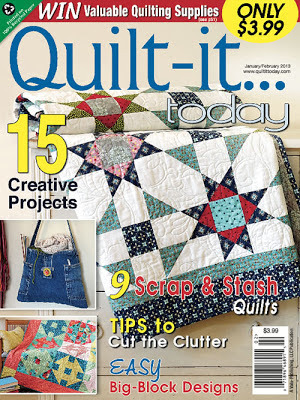 It's in the current issue of Quilt-It Today (January/February 2013)! You can go Here and see a list of the projects in this issue. It's made up of super easy to piece blocks using some fun batik fabrics that have lot's of texture (the raspberry colored fabric was also featured on my Batik Infinity Scarf that appeared in the premier issue of Sew-it Today still available on the news stands. My good friend Mary Nielsen did the beautiful machine quilting on this one for me :) I think it's going to be our new picnic quilt. I can't wait to use it...we just have to get through Winter first! I took some time this year to make up some cute Christmas Ornaments for our Furry Family Members. These are for our dog Butters, and cat Maddie. I used these Go! Cutter Dies (#55064 Gingham Dog & #55065 Calico Cat) to cut out the shapes for our pets. 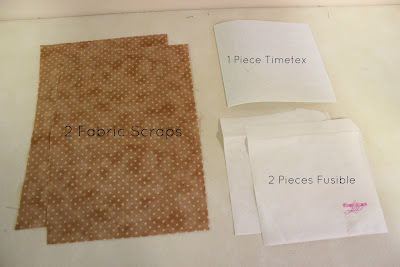 I started with two scraps of fabric (one for the front and one for the back), one 6" square piece of Timtex stiff interfacing, and two pieces of fusible web approx. 6" square (I used Heat n Bond Lite). In preparation, I machine embroidered our pet's name to the center of the piece of fabric that will be the front. After deciding on an appropriate size and embroidering the name on the front fabric, iron a piece of Heat n Bond to the back side, and add the other piece of fusible web to the reverse side of the fabric piece for the back of the ornament. Then sandwich the piece of Timtex interfacing in between the two fabrics and fuse all together. Then, using the cardstock cutout to help in positioning the shape over the Go! Die blades, run the fused sandwich through the cutter to cut out the animal shape. Then to finish I satin stitched around the outside edges with the same thread that I embroidered the name with. I like to satin stitch completely around the ornament twice to give the edge a smoother look.